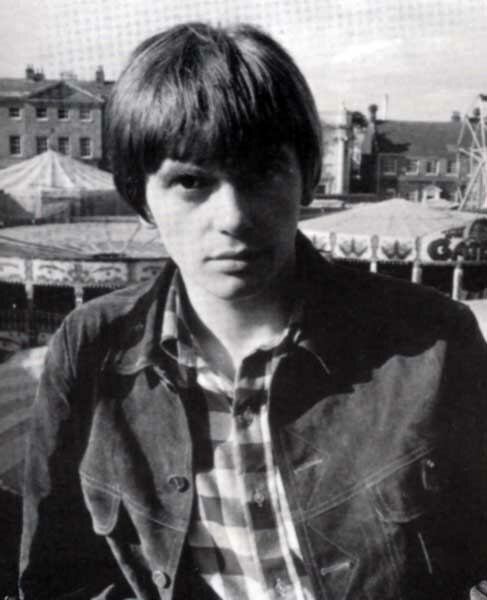 Just finished reading an autobiography (Maids Head to Hamburg) written by Ricky Meek, a well known local lad (drummer) who started his music career in the 1960s. It's good too see drummer Rick Meek's facinating book Maids Head To Hamburg getting some national press. This month's Record Collector has given a positive review, although comments about the proof reader and writing style seemed unjustified. Another good review has appeared in the American Music magazine Blue Suede News with a picture of the book. I hear other music critics have asked for a copy to review for possible publication in other music mags...well done Rick! i have this book, good read, alot of names that i know in it too, tony pull etc, rick was a good drummer, as was rocky brown (tea time four), infact lynn had/have several good drummers. What happened to The Tea Time Four? I know Ray (Boz) Burrell sadly no longer with us went on to greater things with King Crimson and Bad Company but other former members-John Cork, Brian (Rocky) Brown, Mike Prior, Bernard (Berny) Rudd, and Barry (Fats) Dean where are they now? I believe Ian McLagan of The Faces was also in the band for a short while before leaving with Boz to form Boz and The Boz People. The photos are Boz and The Tea Time Four but in this case The Tea Time Six..
yeah ian was in them for a short time, i heard fats moved to florida? any ine got any old pics of local bands? sabres, pagans, escorts, wildlife, brighton 65 lol? Local beat groups I can recall of the 60's and early 70's. Can anyone add anymore? The Trojans, Group X, The Panthers, The Insite, The Teenage Mummys, Treble 9 (never any trouble at their bookings they were all policemen)--Terry Rose and Tony Batterbee were both excellent vocalists and were in several different bands. Dennis Scott and Rick Meek great drummers, Brian (Dacious) Cook great guitar.. I can remember Martin Rouse who lived at The Discovery pub being in a band but can't recall the groups name. The Tea Time Four were sometimes billed as Lombard and The Tea Time Four, who was Lombard? Lombard? dont know, i believe that out of all these bands the Tea Time Four were the only local band to play the Boston Gliderdrome, is this correct? Anyone remember Kevin Dagg? (Lived in Heacham) used to sing with the local groups. Last I heard of him, was around 10 years ago when he rang in to Radio Norfolk from which I gathered he was a pup landlord somewhere near Norwich. Also Ricky Wilson, an eacellent singer came from out Long Sutton way. Started with a group called the Young Ones. I believe he later went professional. Last time I saw him was at a dance at the Dukes Head KL mid 90s. Kevin Dagg in the 60's used to be Larry Bond of Larry Bond and The Strangers, he was also in The Trojans. He was a very good singer and I believe in the late 70's he was in The James Elliot Band.. Most of the local bands used to shunt their gear about in their own clapped out cars or beat up Thames vans, I don't think they would have made it to Boston even if given the chance. 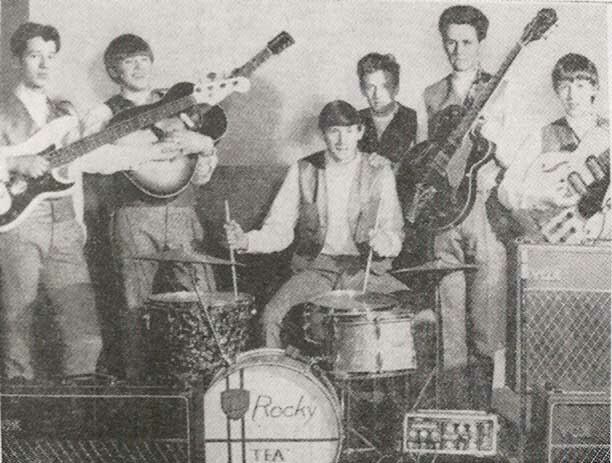 Boz Burrell and Barry (Fats) Dean came from the Spalding area so maybe The Tea Time Four got to play The Gliderdrome because they never had so far to travel. I believe they were support band for The Equals, also on the bill was Brian Auger. I think this is where Barry Dean met Brian Auger who he later went on to join..
i'll look into that, i have "going to the dance" book on the gliderdrome. its like a diary, who nplayed and cost to get in, pretty cool book. Where did you get hold of the book on The Gliderdrome Tristan, I'd like to buy a copy for myself..
Get the ISBN number and order from any book store in kings lynn, thats what i did, see link for amazon below. Cleveland. His plane crashed into Lake Monona Wisconson, Dec 10 1967. I wonder if he is still sitting on the dock of the bay?